Home How To Charge A Deep Cycle Battery Properly? How To Charge A Deep Cycle Battery Properly? There are many reasons why people would want to know how to charge a deep cycle battery properly. The charging methods for this battery type seem to be shrouded in misconceptions, and there are some people who have basic knowledge about the subject and would want to know more. If you are one of those people, then you have come to the right article as this will guide you through the steps. Of course, there are a lot of factors involved in charging deep cycle batteries, and not every one of them are the same. However, there are general guidelines that apply to every deep cycle battery that you get your hands on. Investment in a deep cycle battery is not a trivial matter, and it is important for you to get all your money’s worth when it comes to these things. Knowing how to properly charge them is one of the keys to preserving the battery life, and if done properly with regular maintenance procedures, your battery will serve you for many years. This will be a general guide that will apply across all deep cycle battery types. However, if you are curious about the special steps needed to take care of your particular brand of battery, then you can always consult the user guide or manual that came with your purchase. You can also go to the company’s website to find out more detailed information about the battery type that you have. These manuals and guides, whether its via physical book or even online resources from your battery supplier, are valuable tools containing very important battery information. Make sure you familiarize yourself with the different parameters and specifications of your battery, as well as other charging instructions, if any. 1.1 What is an ‘Equalizing Charge’ and Why is it Important? 1.3 Checking the Charges: Make it a Habit! The proper process of charging a deep cycle battery mostly starts with preparation. When you have taken all the precautions and preparations before charging, then really, you are already a long way towards properly charging the power source for your vehicle. The first thing to determine is the voltage rating of the battery and its compartment size. This will help you gauge how much power you could put in the deep cycle battery, and how long you will expect the charging process to take. Temperature extremes are bad for batteries, as these will affect the chemical composition contained inside the battery. You should be wary of temperature when charging, especially in extreme heat. If you live in a place where the climate is naturally hot, then you will need to put up some sort of ventilation system for your battery. Keep in mind that when charging, batteries give off heat, too, so that is an important thing to consider when you are deciding where you will charge your deep cycle battery. Now, you should know that these two factors — voltage parameters and temperature — are two of the most important factors in charging. So you should make sure that your charger is prepped at the correct voltage setting, and its output and amperage should not be as excessive because this might increase the risk of overcharging. Granted, there are smart chargers that can automatically switch into “trickle” charge when the capacity is full, but it always pays to be on the safe side. This applies to temperature, too. So when charging, you should be aware of the adjustments needed so that the battery will be in a safe temperature while the process is going on. If your battery is a wet cell that needs to be opened up to perform maintenance, then you probably already know that you should check the water content in the battery. Refill them when they are below the required level, and after refilling make sure that the vent caps are tightly closed. The typical charge range for a deep cycle battery is somewhere between 20 percent and 100 percent charge. They are actually called “deep cycle” batteries because they can afford to be drained up to lower levels, whereas other batteries may suffer when discharged too deep. Deep cycle have the advantage of having a longer sustain time because of this feature. However, one should still be wary of overcharging, as this truly causes the battery life to suffer (not to mention causing physical deformities like bulging cause by gassing). In the same vein, undercharging should also be avoided — make sure that you always charge your deep cycle battery to fully make use of its service lifetime. After all the charging, it is natural for the battery to feel hot. Heat is a sign of energy, and is a natural byproduct of charging— which in itself can be basically described as a transfer of energy from one medium to another. As such, it will be best to give your battery time to cool off after a long time of charging before using it. This will make the battery last longer and achieve its lifetime of service more optimally. These are the general guidelines for charging your deep cycle battery. Now, as for the actual charging instructions, it will depend on the type of charger you are using, as well as other factors like the terminals and installation method of your battery (or whether it is uninstalled and sits freely in the open). You can refer to the manual of both the battery and your charger, but generally, it is a matter of attaching the correct cables to the proper terminals. What is an ‘Equalizing Charge’ and Why is it Important? One thing about deep cycle batteries is that they need to be equalized regularly to function well. The process of “equalization” is needed so that the cells contained in the battery will have equal levels of charge, or similarly close if not perfectly equal. This is attained quite easily by applying an “equalizing charge” which typically is a current that supplies 2.5 volts for every cell— meaning 10 percent higher than the typical charge voltage we use in recharging deep batteries. Sulfation is one of the most harmful things that can happen to a battery, and in extreme cases it may even render the battery out of service. This is because in the sulfation process, the lead acid that is necessary for the battery’s operation crystallize to become lead sulfates. These sulfates cannot accept any more charges, and those if the whole lead acid solution crystallizes, the battery will be useless; it will not be able to hold a charge. 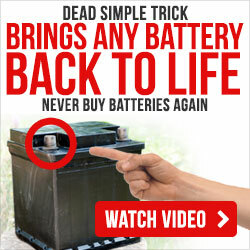 This is why experts suggest that batteries should be equalized once or twice in a year. We have talked about temperature before, but we need to stress out that temperature affects your batteries and the charging process itself more than you can imagine. Please keep in mind that charging a frozen battery is not recommended! Although we could not imagine a situation wherein you would charge a frozen battery (maybe you recovered one in the aftermath of a winter snowstorm and would like to heat it up by charging), we feel the need to say that this is not a safe course of action. On the other end of the spectrum, you should never charge batteries above 120 degrees Fahrenheit, as this will be bad for the life cycle of your battery. Checking the Charges: Make it a Habit! In the course of using your battery, it may slip your mind to check the charge of your deep cycle battery, and thus forget that they needed to be charged, too. This is why if you want to keep a steady maintenance for your energy cells, you have to make a habit of checking your battery’s charge. You can accomplish this by using a variety of tools, like a voltmeter or multimeter. Keep in mind that deep cycle batteries typically stay at a discharge rate of 40 to 75 percent. We established that deep cycle batteries can be afforded to discharge at a deeper rate than any other battery type (hence the name) but do not let them discharge below 20 percent of their capacity. These are only some of the myriad ways with which you will know how to charge a deep cycle battery. The key things to keep in mind is that one, you have to know the right and compatible voltage for your battery. Two: mind the temperature; never let it be too hot or too cold while charging. Three, avoid overcharging and consider delivering an equalizing charge every once in a while (in a voltage higher than usually required). Finally, make sure that you frequently charge your cells up to its capacity, and never let it be just undercharged too often.